The Shell GameChanger Accelerator™ Powered by NREL (GCxN) provides promising cleantech start-ups with access to financial resources, state-of-the-art facilities, and world-class technical experts. Focused on discovering and advancing emerging clean technologies with the potential to dramatically alter the future global energy landscape, GCxN partners early-stage companies with the resources, expertise, and world class facilities available through the U.S. Department of Energy’s National Renewable Energy Laboratory (NREL) and Shell’s incubator program, Shell GameChanger to reduce technology development risk and accelerate tech to market. Cleantech start-ups are referred by NREL’s network of channel partners (cleantech incubators, accelerators, and universities) with finalists selected after reviews by technology experts at both NREL and Shell. BusinessGreen: Shell-owned utility promises to announce a “string of exciting services” in the coming months, as it seeks to burnish green credentials. Full article available by subscription. On March 20, 2019, the National Renewable Energy Laboratory (NREL) announced that it has selected the Shell GameChanger Accelerator Powered by NREL (GCxN) as the most outstanding partnership of its 2018 fiscal year. Scientific American: This article from Scientific American details why climate concerns are forcing massive oil corporations to look beyond fossil fuels. The piece examines how Shell is leading the way, evolving beyond oil and gas, and how several other companies are diversifying their businesses, from biofuels to electric vehicles. BetaKit: In this piece from BetaKit, the author reveals that Toronto-based e-Zn is the only Candian company selected by the Shell GameChanger cleantech accelerator. Nominated by MaRS Discovery District, e-Zn was one of four companies to be chosen after a competitive process. Energy Manager: This Energy Manager article highlights how portfolio company e-Zn was selected for the Shell GameChanger Accelerator. e-Zn develops energy storage systems to replace costlier diesel generators and is one of only four startups that will participate in this first round. 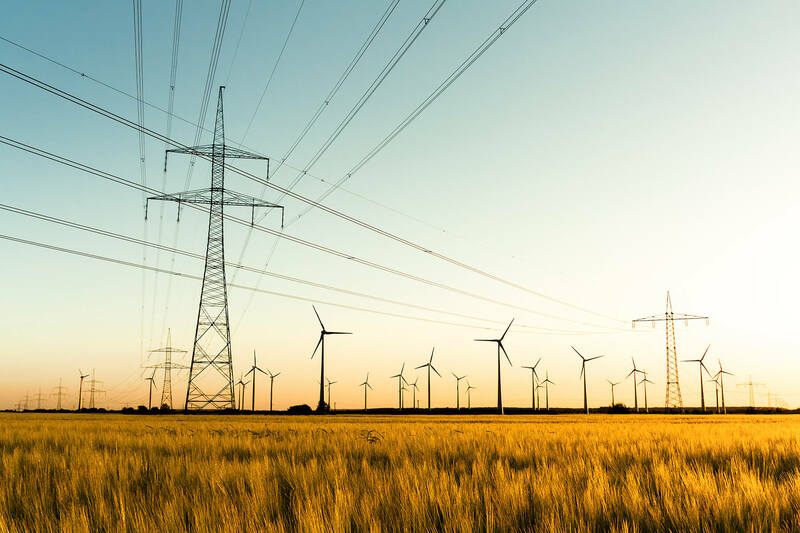 Electrical Grid Monitoring Ltd. created its Meta-Alert™ system to secure real-time communications and perform self-learning analytics on the whole grid. The collected data produces insights for optimal grid management and operation. Feasible Inc. is developing a technology platform that uses soundwaves and data analytics to deliver insights about batteries across the value chain. At scale, Feasible Inc’s technology will enable widespread adoption of clean energy sources by improving the performance and safety of battery packs and decreasing their lifetime cost. Antora Energy is building large batteries for the grid at remarkably low costs, using modified solar panels to change heat to electricity efficiently. This technology will both improve grid resiliency and provide long-duration energy storage at 1/20th the cost of conventional batteries. e-Zn is the first company in the world to “metalize” electricity. The company’s zinc-based energy storage system is both affordable and flexible - it can be deployed in any geographic setting and succeed in small or large-scale systems, while also delivering energy for hours, days, weeks or longer. GCxN is an invitation-only program designed to identify high risk, high impact technologies through referrals from within the clean energy ecosystem. Potential applicants are referred to the GCxN team through our Channel Partners, a combination of academic, industry, and government institutions specializing in clean energy technologies. Referred companies are invited to apply to the program and a technical advisory board made up of NREL engineers and GCxN staff review, score, and select the companies to be invited into the next cohort. What is Shell GameChanger™ Accelerator Powered by NREL? The Shell GameChanger™ Accelerator Powered by NREL (GCxN) is a new multimillion-dollar, multiyear program developed in collaboration between Shell GameChanger and the U.S. Department of Energy’s National Renewable Energy Laboratory (NREL) focused on discovering and advancing emerging clean technologies with the potential to dramatically alter the future global energy landscape. GCxN identifies promising startup companies through an ecosystem of more than 40 clean-tech business incubators, accelerators and universities, providing access to $250,000 in non-dilutive funding in the form of technical experts to develop and demonstrate new energy technologies. GCxN is made possible by funding through Shell GameChanger. GCxN is administered by NREL, located in Golden, Colo.
Who is eligible to apply for GCxN? Potential applicants are referred to the GCxN team through our Channel Partners. The GCxN program seeks companies with technologies focusing on long duration energy storage and the grid of the future (battery management systems and energy management systems). A preference is given to companies between TRL levels I and III. A TRL is a company’s technology readiness level. GCxN follows the DOE’s TRL definitions, found here. What is GCxN’s mission? What does GCxN aim to accomplish? Shell GameChanger™ Accelerator Powered by NREL (GCxN) is looking to identify the next generation of technologies with the potential to impact the future of energy. Specifically GCxN is looking for companies with a novel early-stage technology idea, a provable concept, and demonstratable value. GCxN aims to provide start-ups with the support necessary to move from an idea on a chalk board to a commercial product deployed in the market place. Applications are reviewed according to 3 primary factors – Viability and potential energy impact, fit for laboratory assistance, and alignment with GCxN program mission. View the Application Rubric. GCxN is a collaboration between Shell Global and the National Renewable Energy Laboratory (NREL) with staff from Shell GameChanger and NREL’s Innovation and Entrepreneurship Center. Who are the Channel Partners associated with GCxN? GCxN’s Channel Partners are a combination of academic, industry, and government institutions who work in clean energy technologies across North America. How many companies participate in each GCxN cohort? Each GCxN cohort is comprised of four companies. What is the timeline for a cohort from start to finish? Start to finish duration is approximately 24 months from announcement of call to completion of projects. Is the award used in a specific way? Yes, the award is used on non-dilutive technical assistance from the National Renewable Energy Laboratory. Where can I learn more about NREL’s work with early-stage technologies? More information can be found at the NREL IEC. Where can I learn more about Shell’s work with early-stage technologies? More information can be found at the Shell GameChanger. How can I contact GCxN staff? Questions, comments, and concerns are welcome at gcxn@nrel.gov.